These have recently made a massive comeback onto the interiors scene following their earlier popularity in Victorian times, where the jars and their bases were mainly used as a protective shield for displaying clocks and taxidermy. Today you can be as creative as you like with your choice of display items - to keep it simple yet stylish, try adding in a scented candle which can instantly look very expensive, plus the jar will hold onto the scent. I also love the fun and quirky potential of Bell Jars which can create a fantastic talking point in any room. 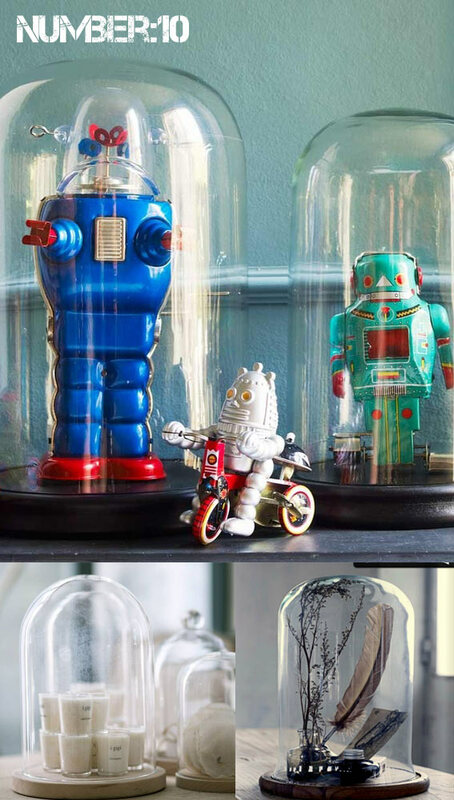 Maybe think about displaying a vintage toy or something very special to you, safely encased in your very own jar!